If you work out with your headphones, they had better be made to withstand the abuse. A good pair of workout headphones should fit securely, be water-resistant, and be able to survive being tossed in a gym bag repeatedly. The JBL Endurance Sprint checks all of these boxes and offers good sound at an affordable price to boot – at $50 (£45, AU$80), the Endurance Sprint is tough to fault. Some may not like its finicky touch controls and its poor microphone for calls but these headphones do the essentials well enough that we recommend them for those looking for rugged wireless headphones. The JBL Endurance Sprint are big and bold with huge earbuds that house the headphone’s batteries, mic, and touch controls. While big, the design makes the touch controls on the right earbud easy to use. The headphones are made entirely of rubber and plastic but it still manage to feel high quality and rugged. 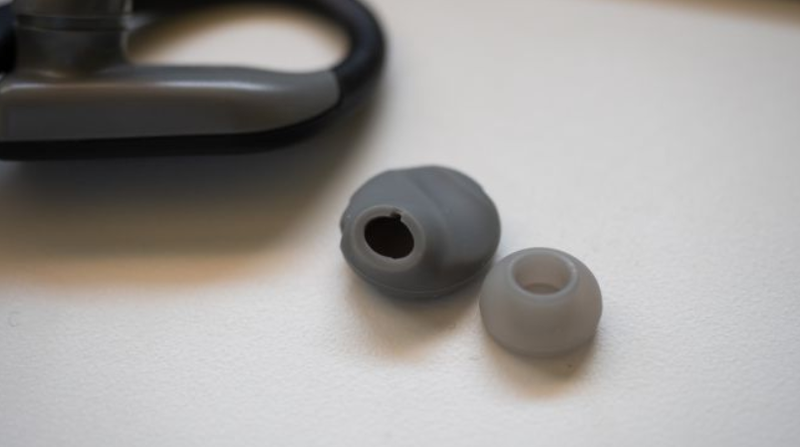 The earbuds are designed to seal out noise and they do an excellent job in that area. Those looking for headphones that let in some sound will be disappointed as the headphones block out a majority of ambient noise – but that’s a small price to pay for good noise isolation. 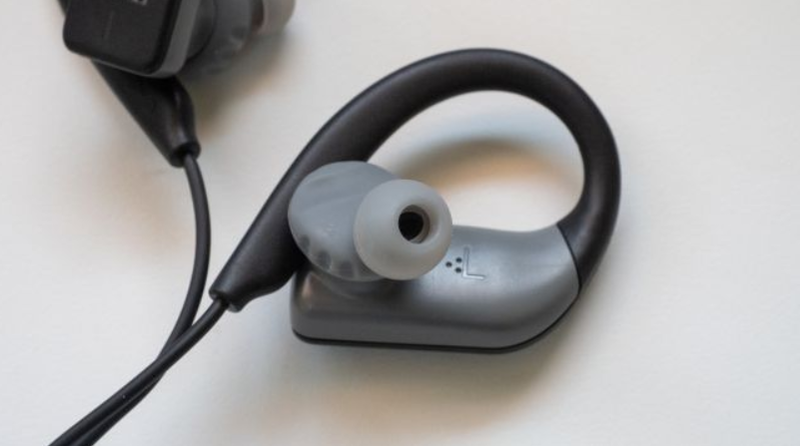 One unique design element of the JBL Endurance Sprint are its magnetic earhooks. This design ensures the headphones are secure in place without anything flopping around. In this regard, they are extremely effective and we never had the headphones fall out during strenuous exercise. To top off its rugged design, the JBL Endurance Sprint are IPX7 rated, which means it can survive being fully submerged in up to a meter of water for 30 minutes. This rating is a bit overkill for your average pair of running headphones but it’s nice to know you can get them soaked in sweat without damaging them. Battery life is rated at 8 hours and, when the headphones do go flat, you’ll be happy to know that they support fast charging with 10 minutes on the charger yielding an hour of battery life via its microUSB port. The touch controls work well with taps registering most of the time, but they weren’t flawless – we found ourselves hoping that our taps registered the desired input at times. We still prefer the tactility of physical buttons for this reason. If you’re planning to use these to take calls, you’re going to be disappointed: Friends and family reported muffled sound quality over the phone. The JBL Endurance Sprint are a great pair of workout headphones: They don’t fall out during active workouts and are designed to put up with abuse. We liked their sound, rugged build, water resistance, and secure fit, plus battery life is good with 8 hours of playback on a charge. While its touch controls may miss your taps from time to time and its mic leaves something to be desired, they are niggles at this price point. In terms of competition, the JayBird X3 are a good alternative but cost twice as much – plus, we actually prefer the sound of the JBL Endurance Sprint. For those looking for better sound while still offering water resistance, the RHA MA390 Wireless are a good alternative that works as well on your commute as it does the gym. The OnePlus Bullets Wireless are also a good alternative with the most balanced sound out of the three. The Bullets also offer quick charging and a handy auto on/off feature when you connect the earbuds magnetically. Still, if your budget is limited but your workout time is not, these are the gym-ready wireless workout headphones you’ve been waiting for.